Have you or somebody you love been injured while at work in Chicago? At the law offices of Goldberg Weisman Cairo, our Chicago workers’ compensation attorneys are the preferred law firm for many unions and trade organizations throughout the Chicago area and work quickly to obtain the MAXIMUM amount of compensation for every case we handle. As the largest workers’ compensation and personal injury law firm in Chicago, our work injury lawyers are in a unique position to serve the needs of injured workers in Chicago. The Illinois Department of Public Health (Department) collects data from employers across the state to review and determine the kinds of injuries that employees experience each year. They also detail the severity of the injury and the industry in which the accident occurred. We know from the Departments reports that employees each year experience a range of injuries, ranging from minor to fatal. Additionally, injured workers experience trauma to all areas of the body. In Illinois, employees have been injured from the top of their heads to their toes and everywhere in between. The industries with the greatest percentage of employee injuries included transportation, warehousing, agriculture and construction. Surprisingly, many injuries also occur in office settings where repetitive stress injuries or toxic chemicals are handled. These types of injuries are also covered by the workers compensation laws in Illinois. When employees experience fatal injuries their families are allowed to recover financial compensation by using the Illinois workers compensation laws. 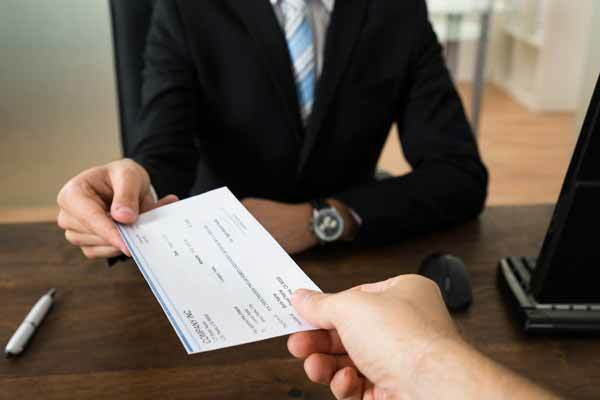 What Kinds of Workers Compensation Benefits Can I Receive? There are a variety of workers compensation benefits that are available to workers that have been injured in Chicago or while working throughout Cook County. Depending on the severity and the nature of the injuries that an employee experiences, workers compensation benefits will cover an employees wages, medical benefits and vocational retraining needs. In many cases, employees are able to temporarily receive a portion of their wages until they heal, 100% of medical coverage for treatments related to their work-related injury and retraining benefits if they are unable to return to their previous jobs. For injured employees who may never be able to return to work after severe injuries, Permanent Partial Disability benefits can ensure that they receive some portion of their wages on a permanent basis. The exact amount of the benefits and the length of the benefits will all depend on how successfully an injured employee is able to demonstrate their injuries and the financial costs of those injuries. If you need help reviewing a compensation claim, our team of Chicago Workers’ Compensation Attorneys and legal professionals are available and ready to explain your legal options. Clients who are injured on the job hire Chicago workers compensation lawyers at Goldberg Weisman Cairo because they want comprehensive workers compensation representation. From the moment that clients contact us regarding their injury, or a denied claim, our attorneys begin to conduct the intense overview of all of the information that is available. In many cases, this will mean obtaining and reviewing all of the records related to your job, your wages, your injury and the kind of recovery that is expected in your injury. Depending on the severity of your injuries, our experienced Chicago workers compensation attorneys will work to ensure that the true cost of your disability is accurately and ultimately reflected in any settlement that you receive. To schedule a complimentary consultation to review the facts of your work-related injury, call 1-312-464-1234 or contact us online 24 hours a day. 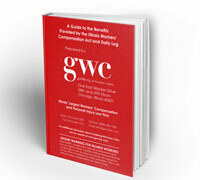 Download your free copy of GWC’s guide to Illinois workers’ compensation benefits.